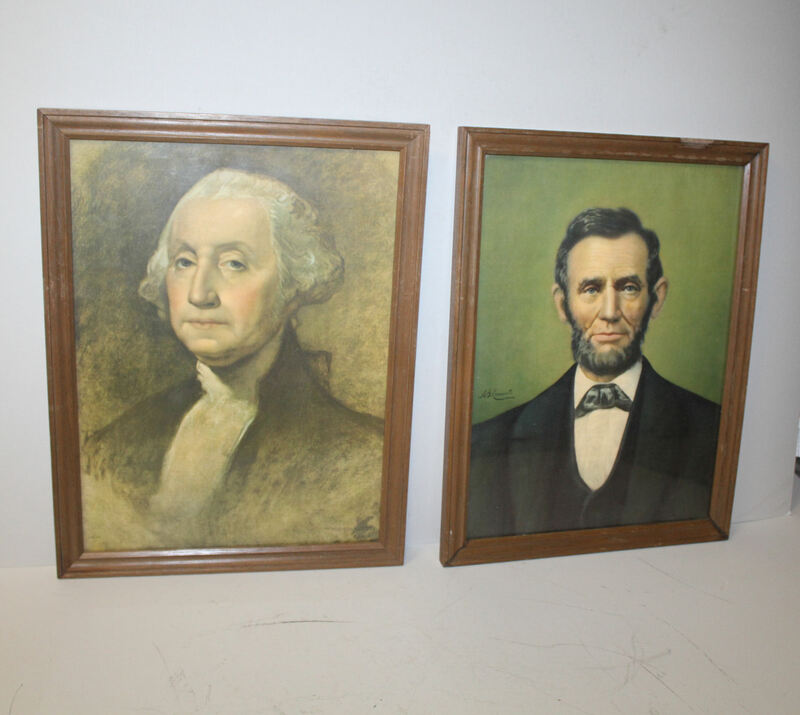 These are the ever poplular and well known president prints that hung in the early country school houses of President George Washington and President Abraham Lincoln. Notice that in the lower right hand corner of the George Washington print it reads, ‘From Original Painting by Gilbert Stuart in the T.B. Walker Galleries’ and the Abraham Lincoln print is artist signed, ‘A.B. Conant’. Both of the prints have the same paper backings that advertise ‘Staats Paint Store – Auburn, NE’, and the prints both have a stamped signature for the ‘auburn Public Library – Auburn, Nebraska’. The frames each measure 13 1/4″ wide by 17 1/4″ high.